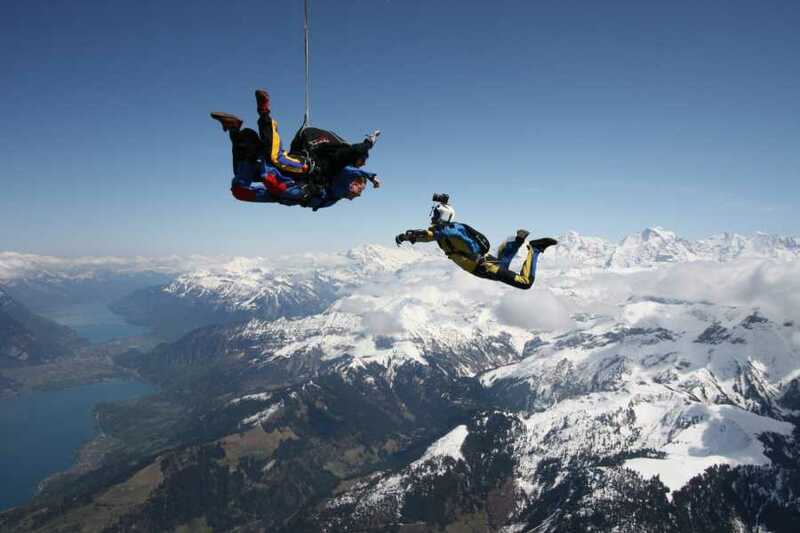 Tandem Skydiving.........3, 2, 1 jump! 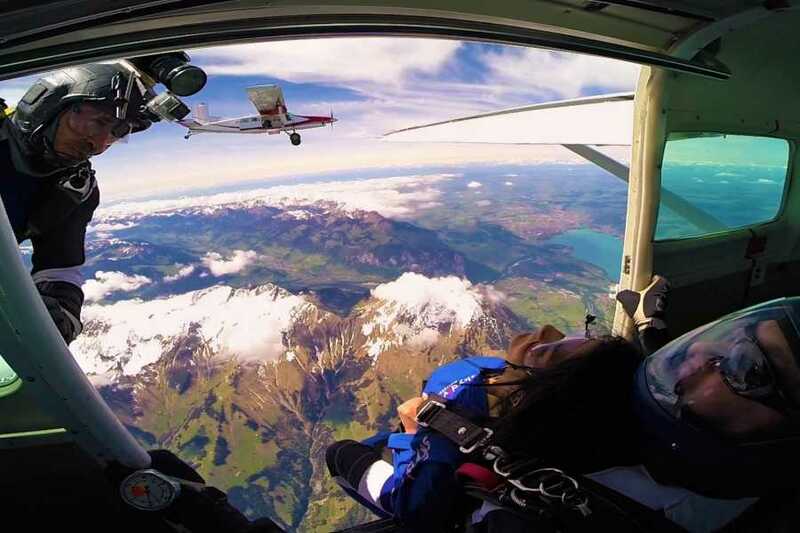 3 activities in 1. 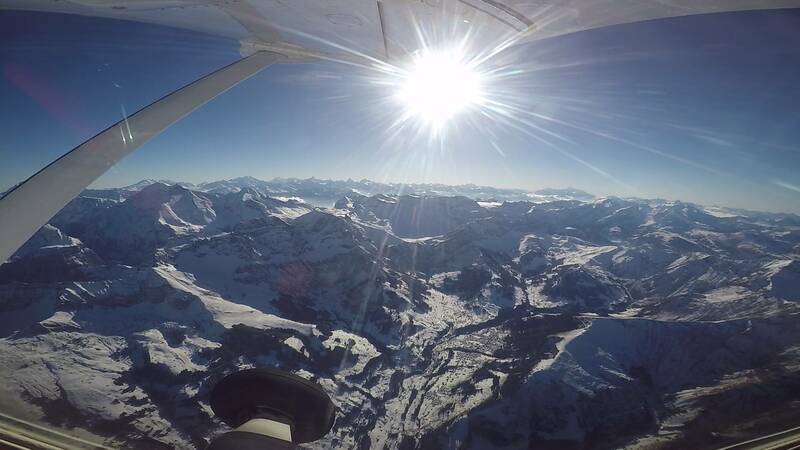 It all starts with an amazing 15 minute scenic flight. 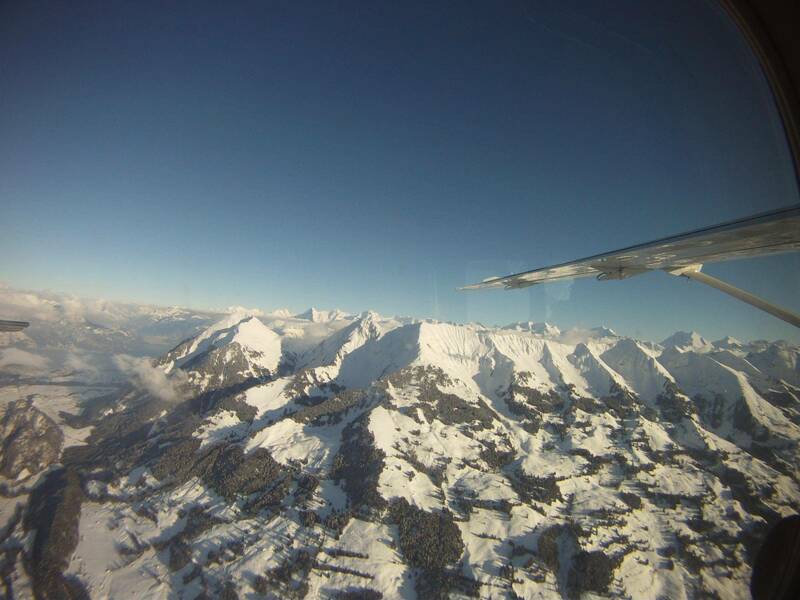 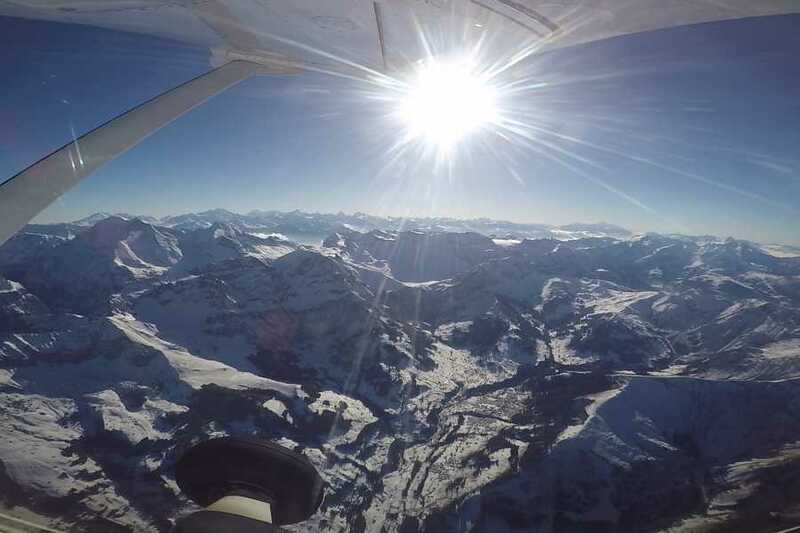 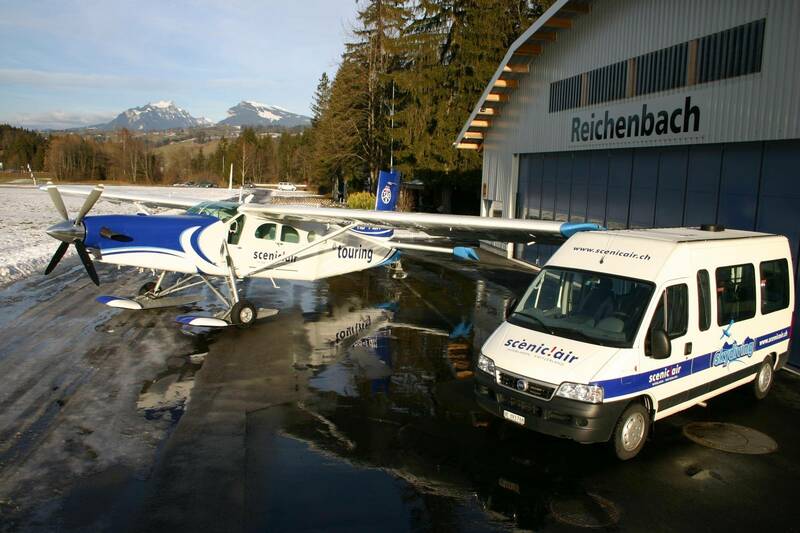 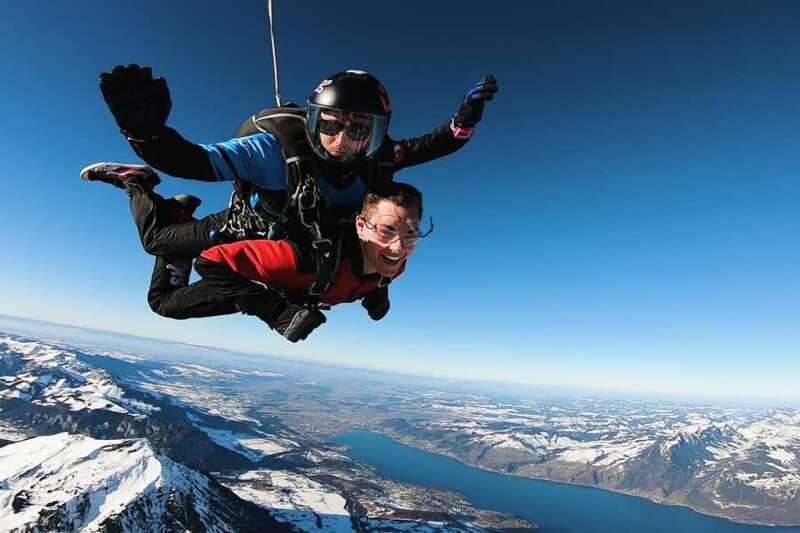 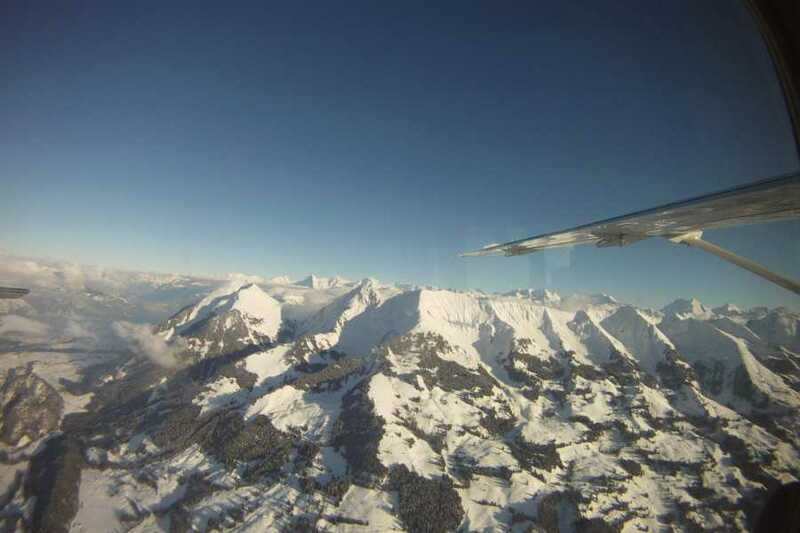 As the aircraft climbs to altitude you will experience a beautiful scenic flight with views of Interlaken's two lakes and the incredible Swiss Alps, including the infamous peaks, Eiger, Monch and Jungfrau. 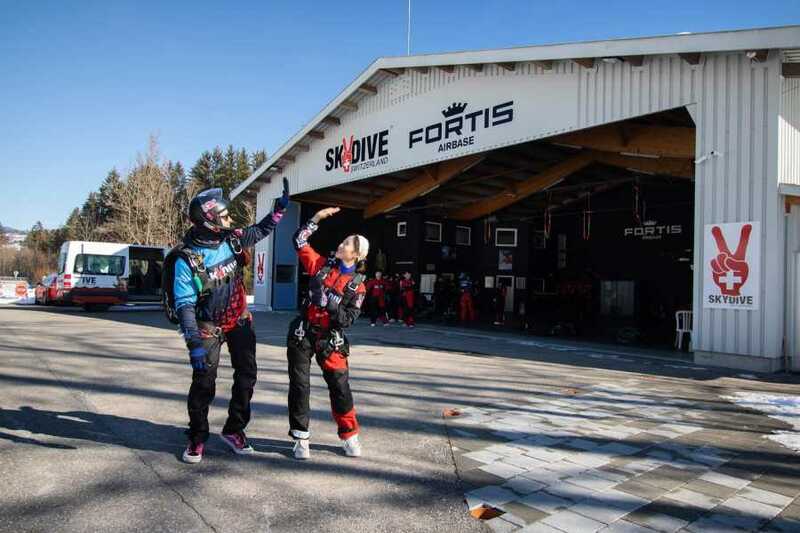 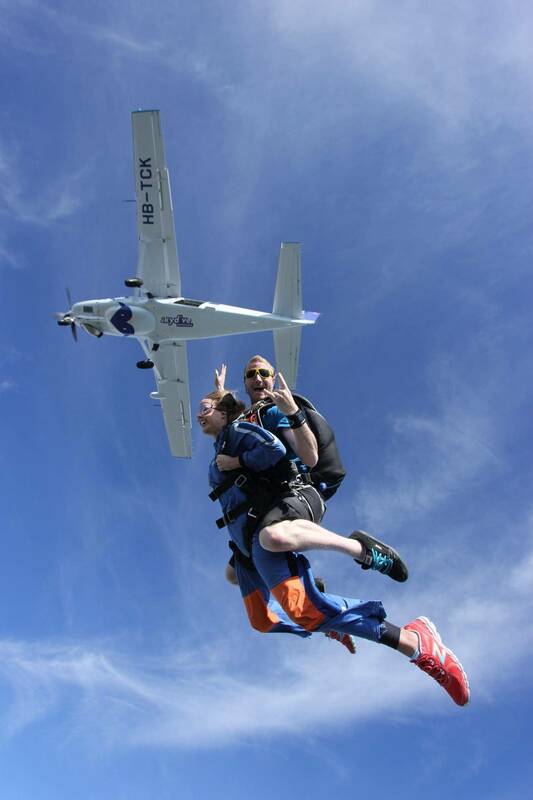 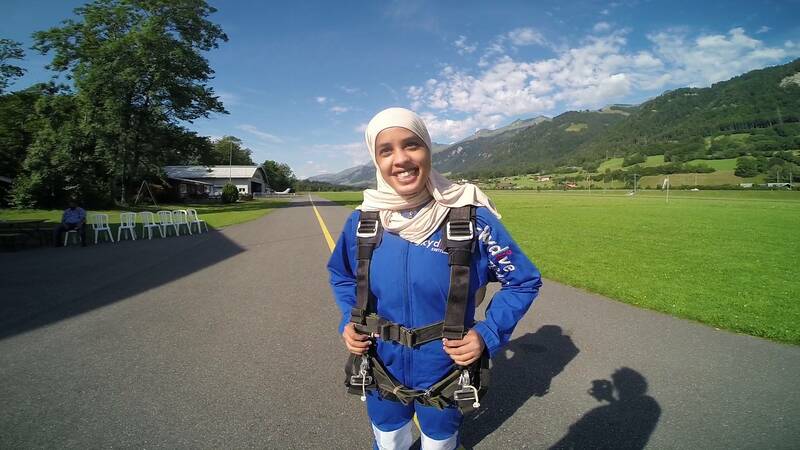 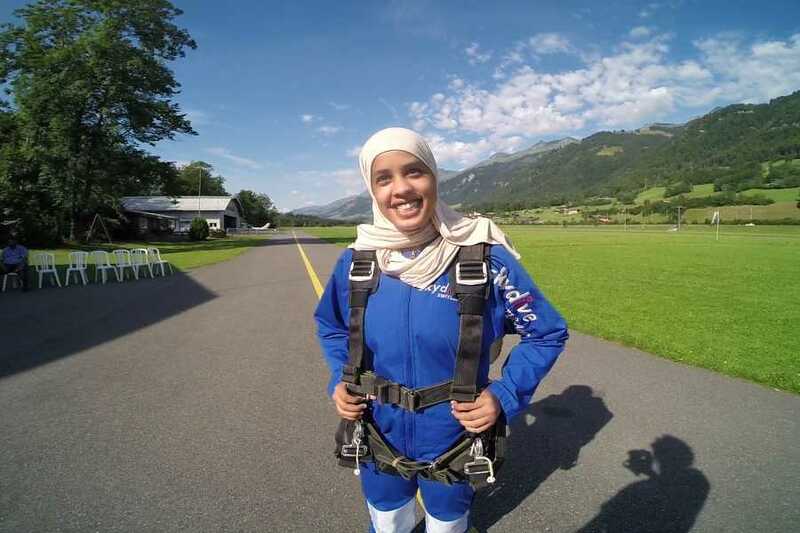 The flight is followed by the thrill of a 45 second freefall with one of our experienced instructors. 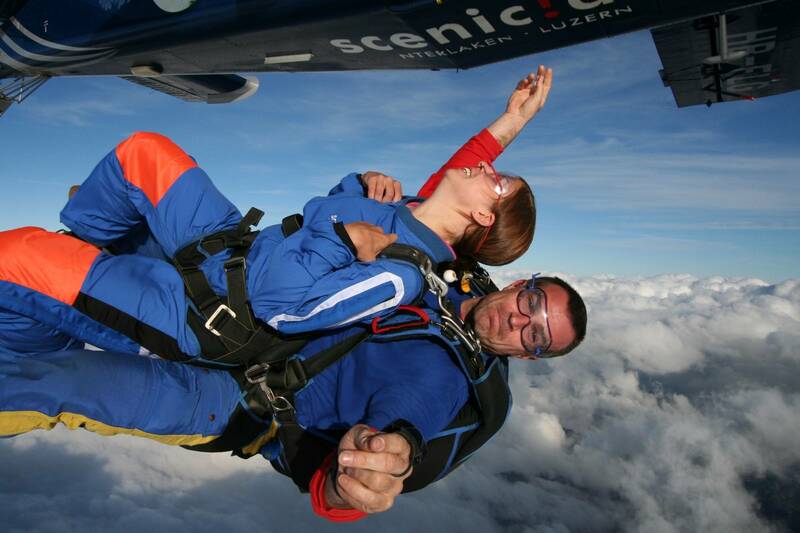 You will experience an adrenalin rush like never before as you freefall at 200 KPH (120MPH). 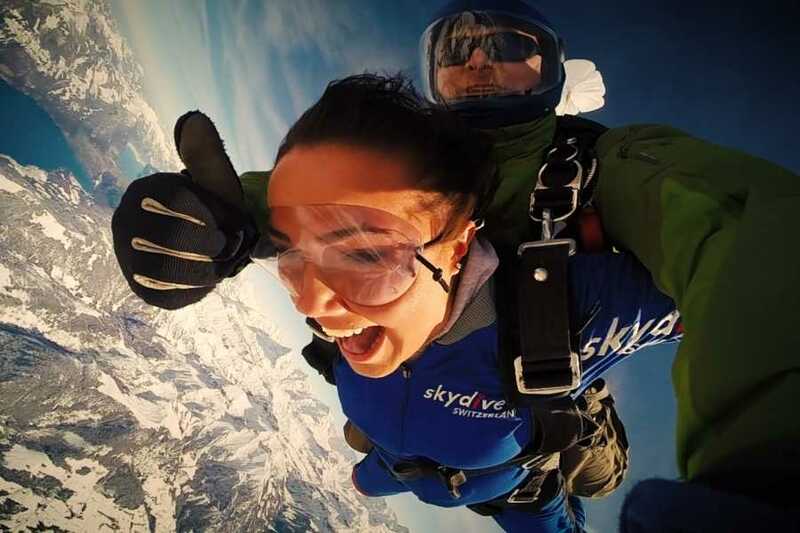 Once the parachute is deployed you will enjoy an amazing 5-7 minute canopy ride, giving you time to take in all the excitement before landing softly back on the ground. 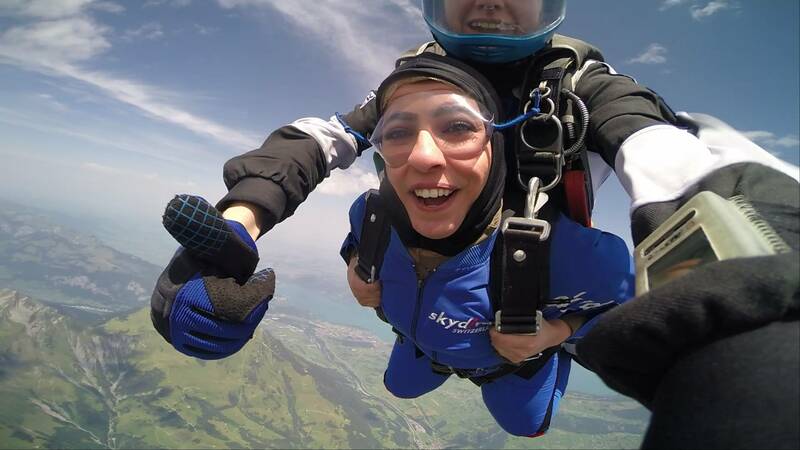 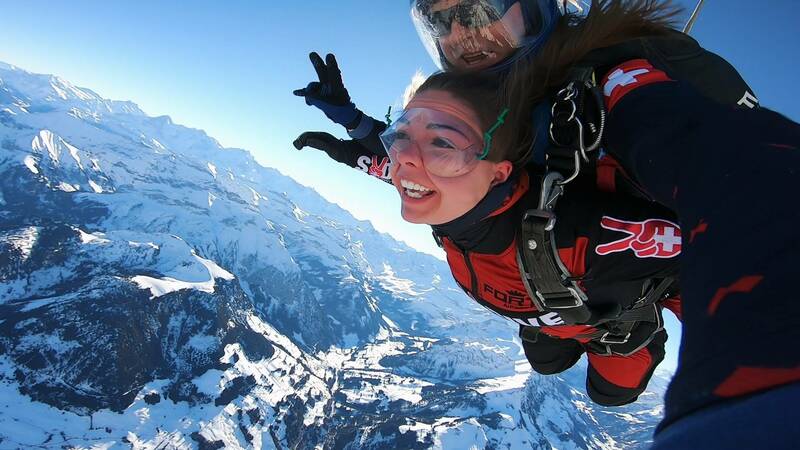 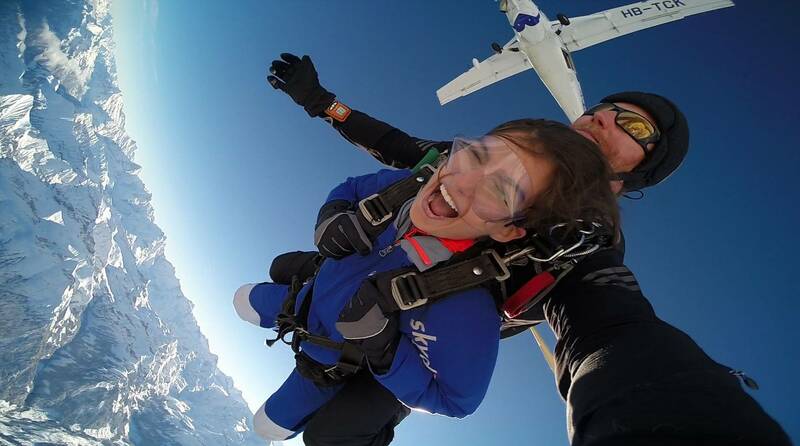 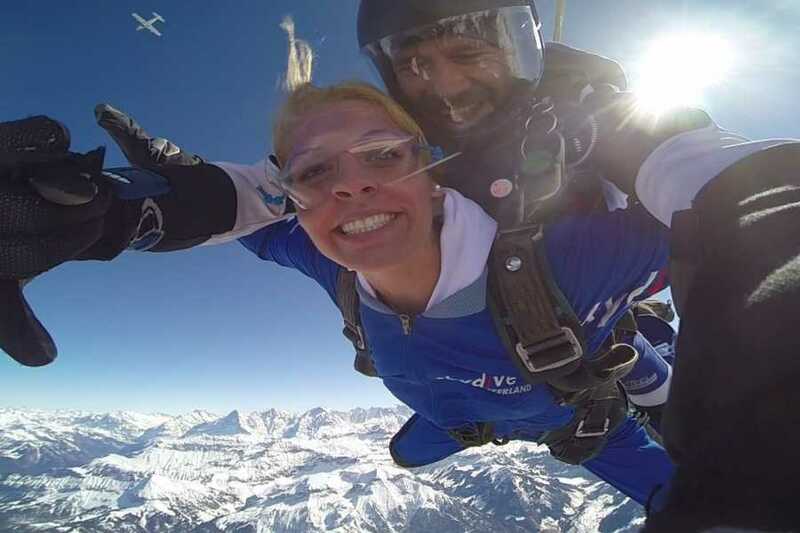 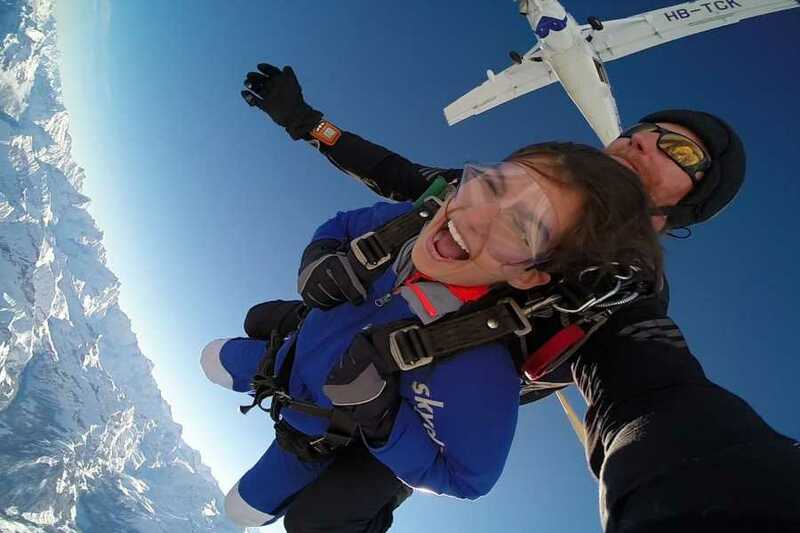 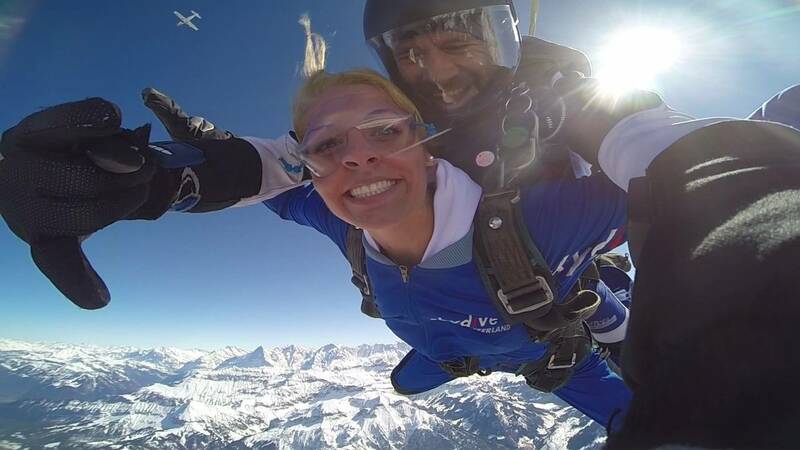 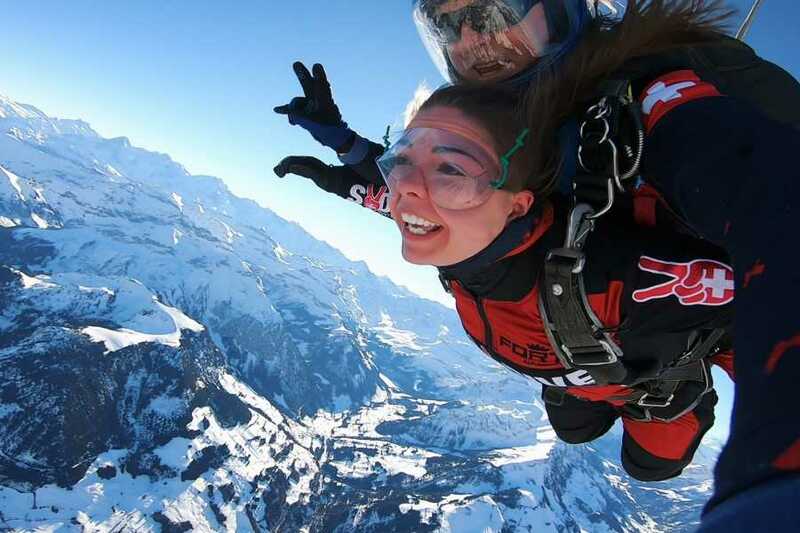 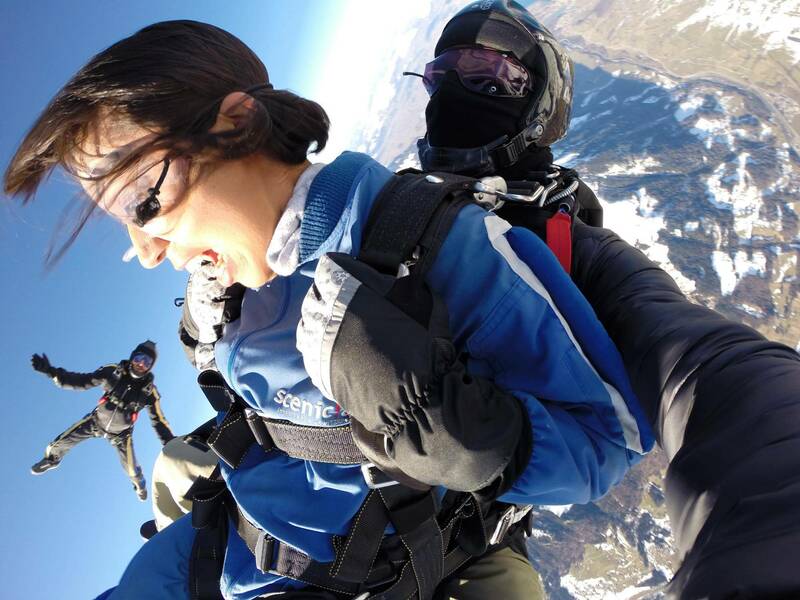 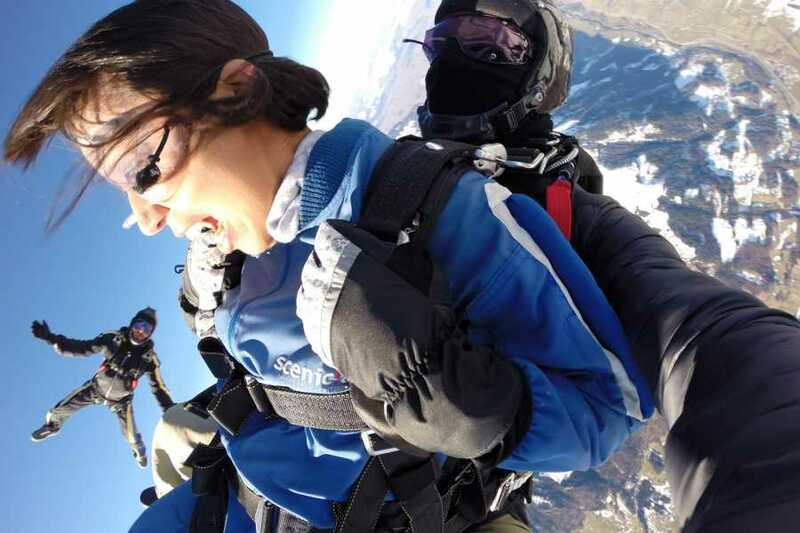 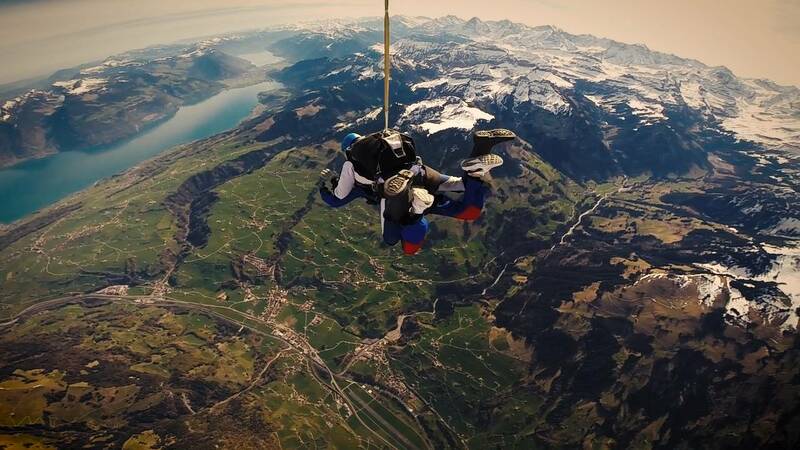 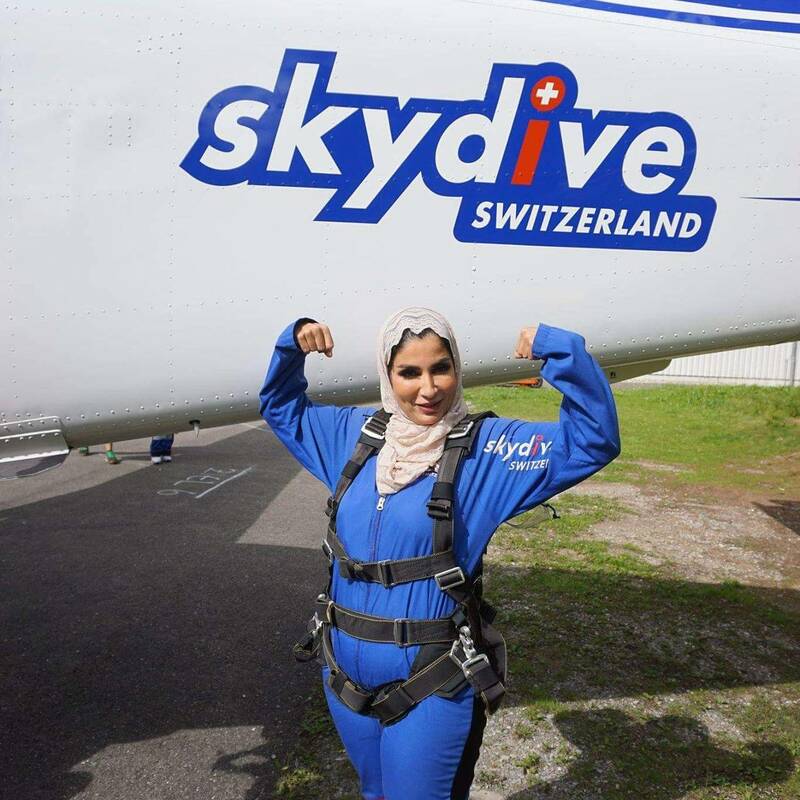 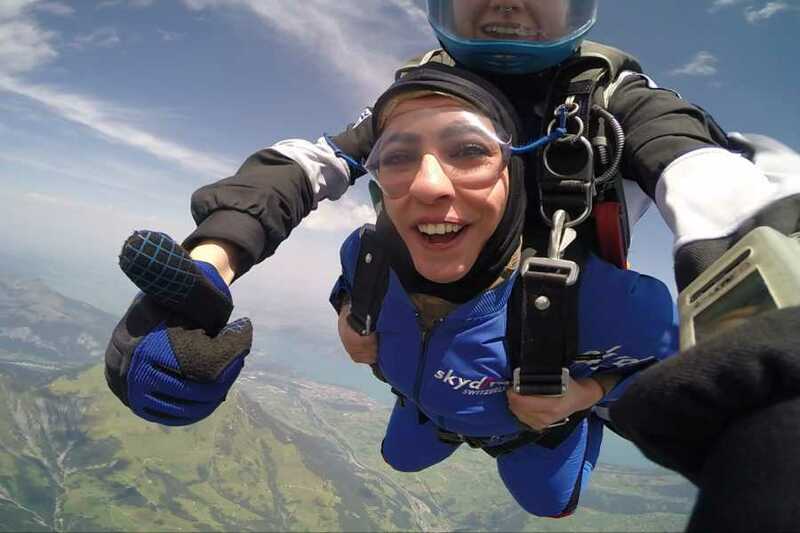 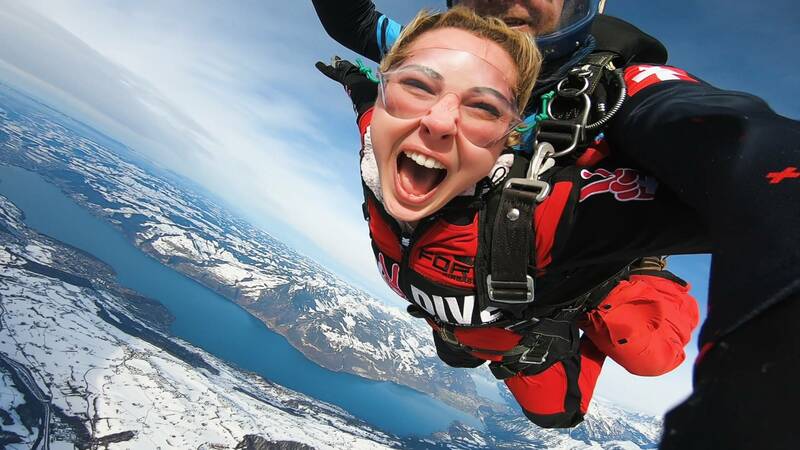 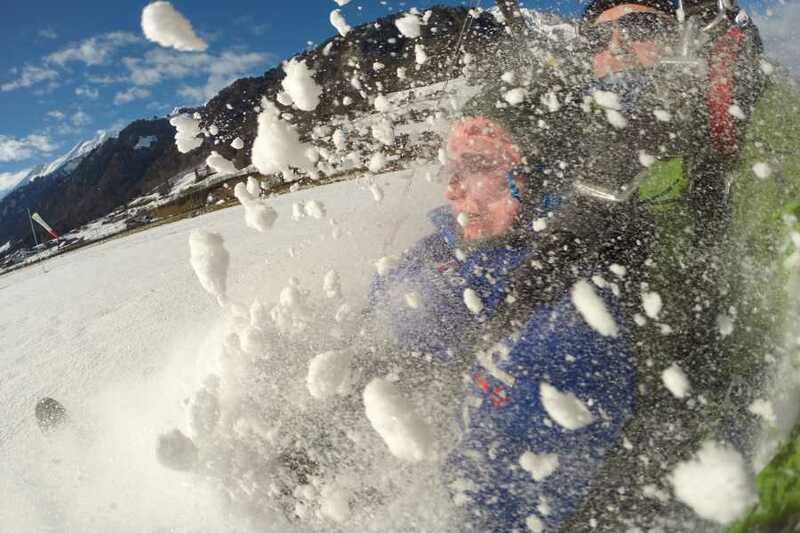 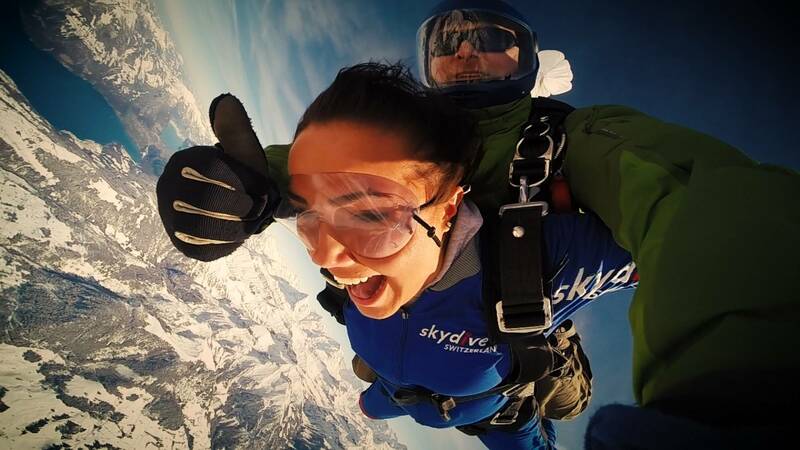 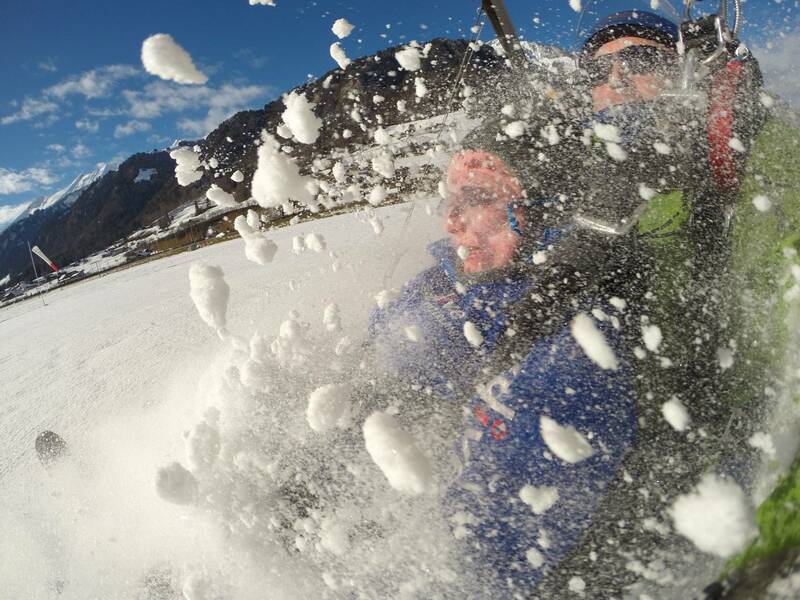 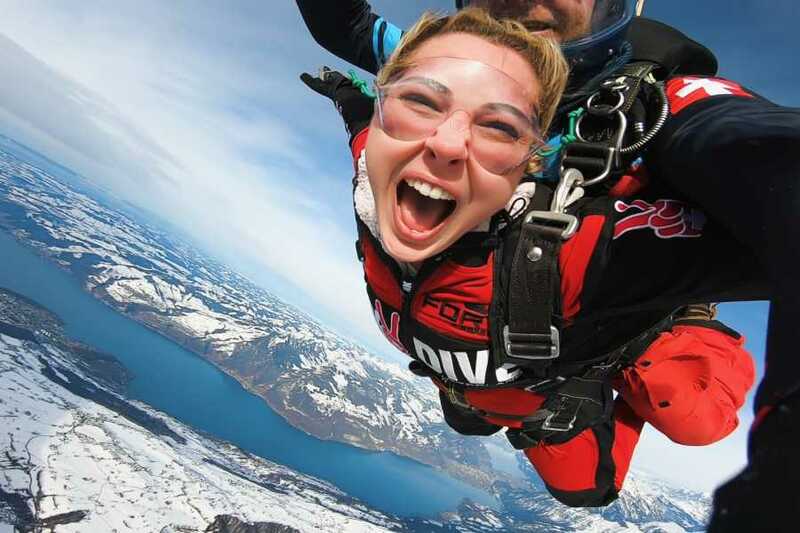 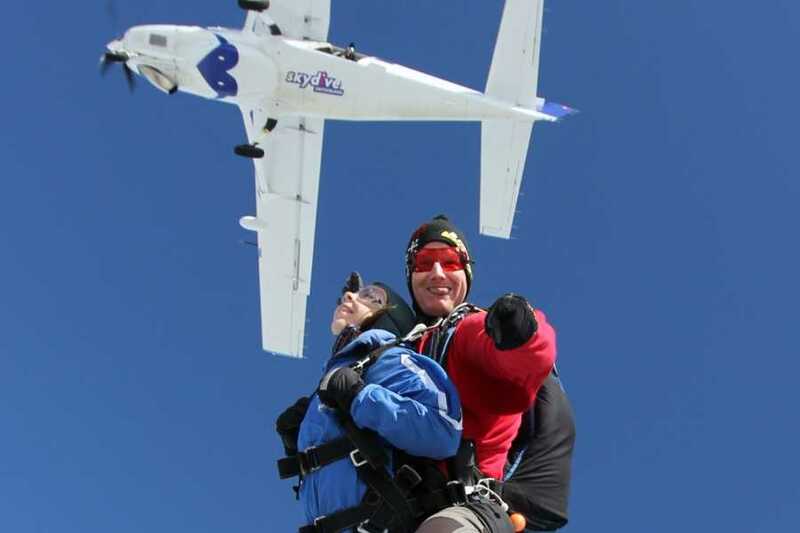 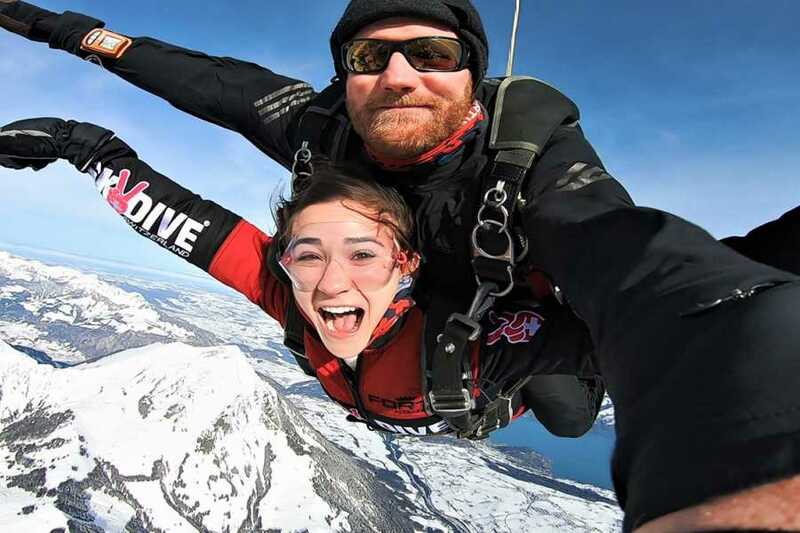 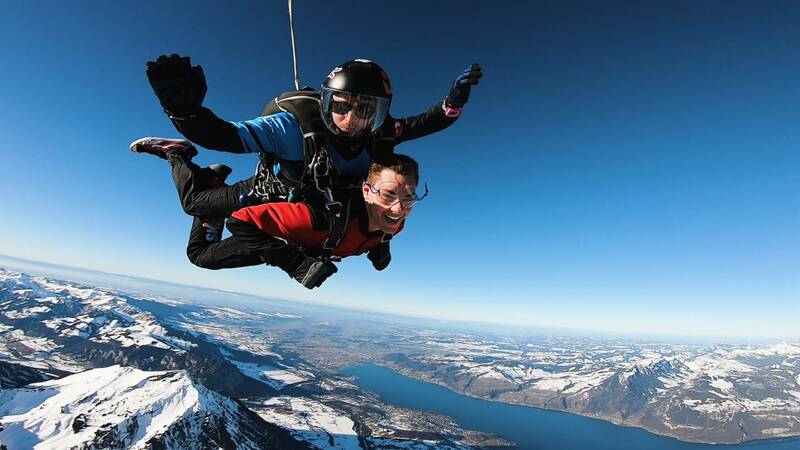 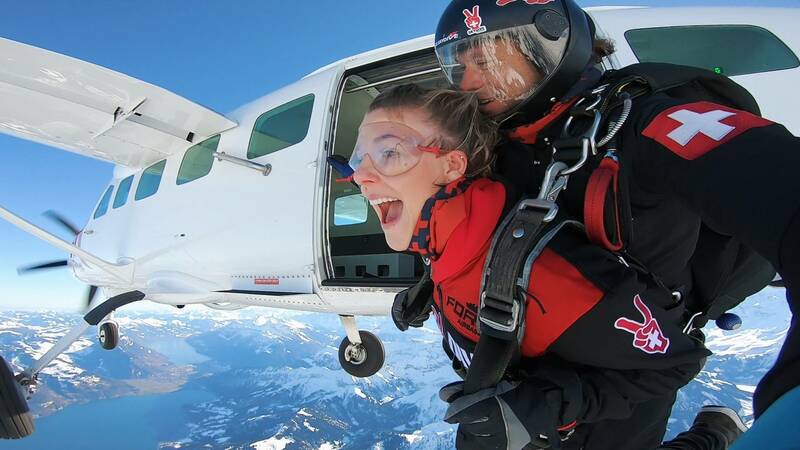 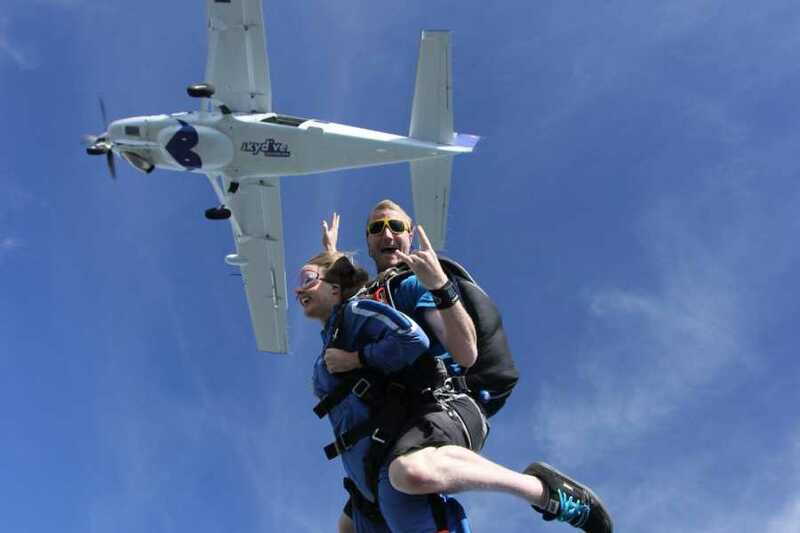 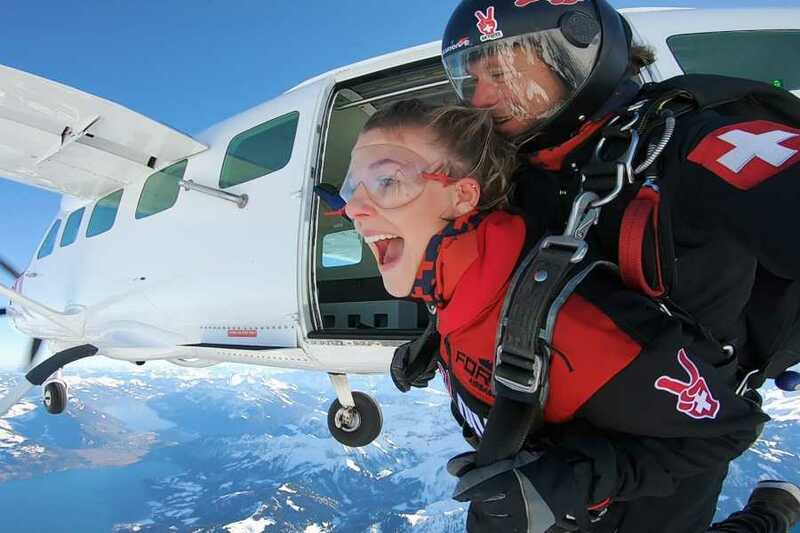 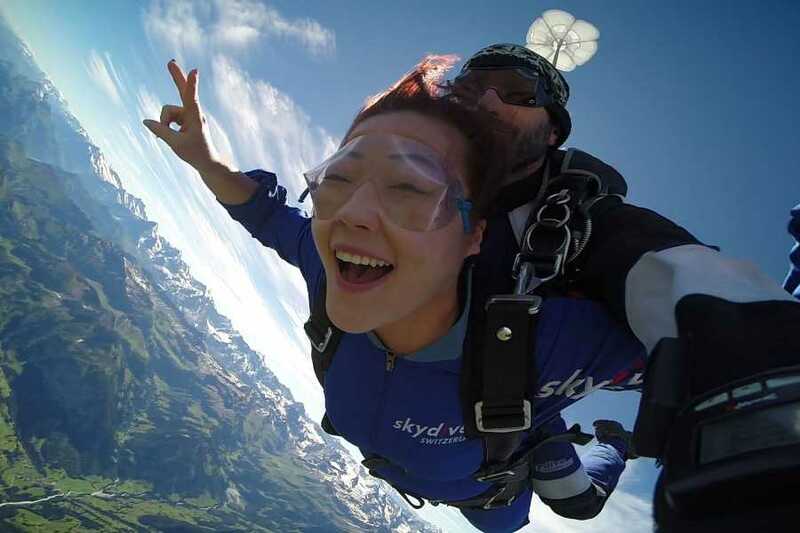 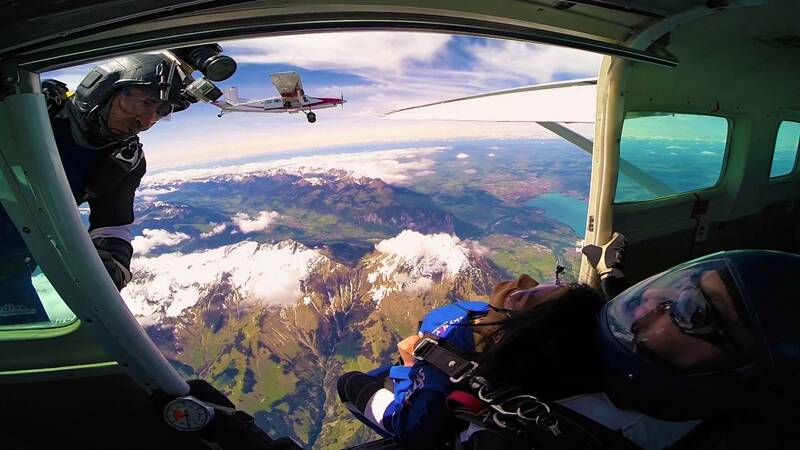 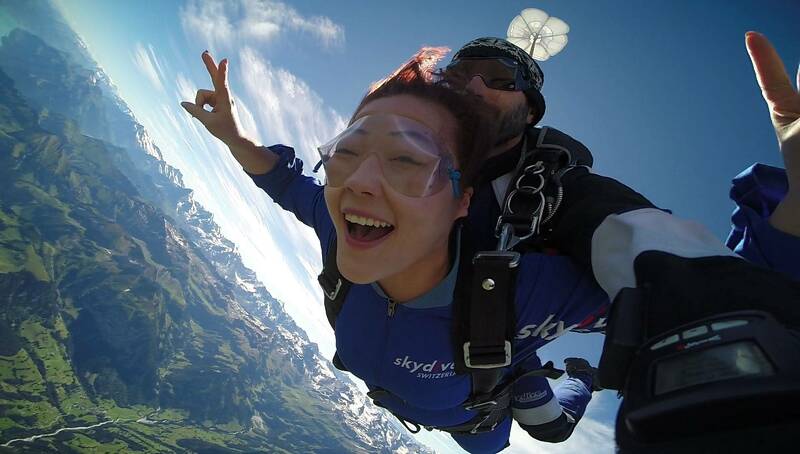 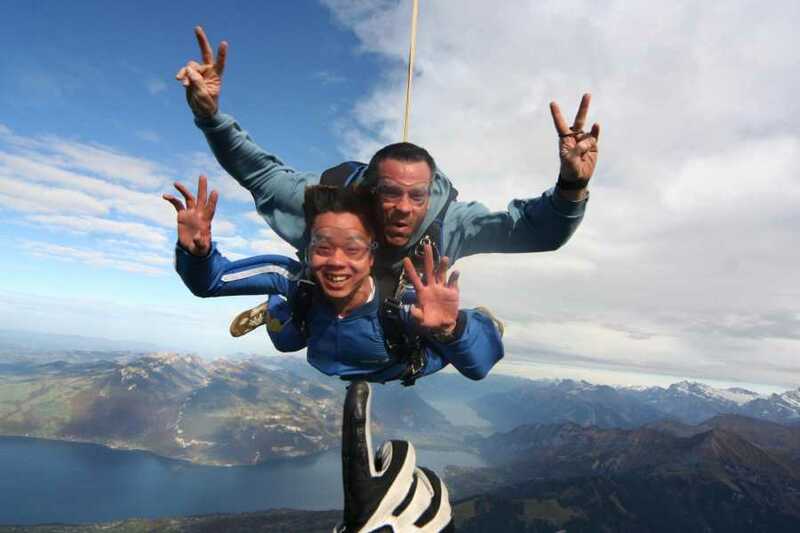 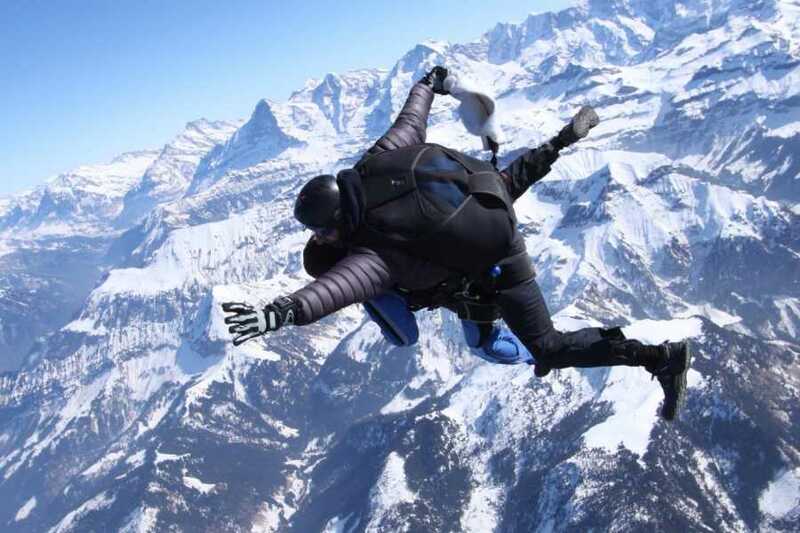 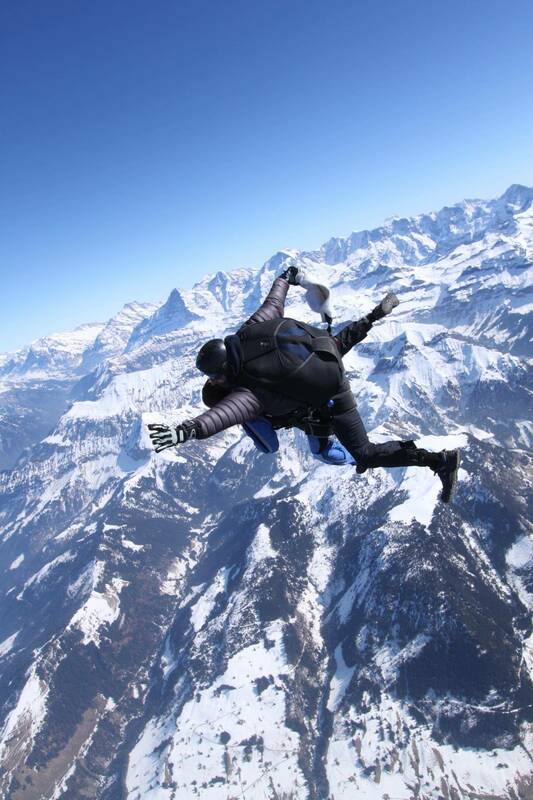 Be sure to get the video & photos to capture long lasting memories of your skydiving adventure in the Swiss Alps! 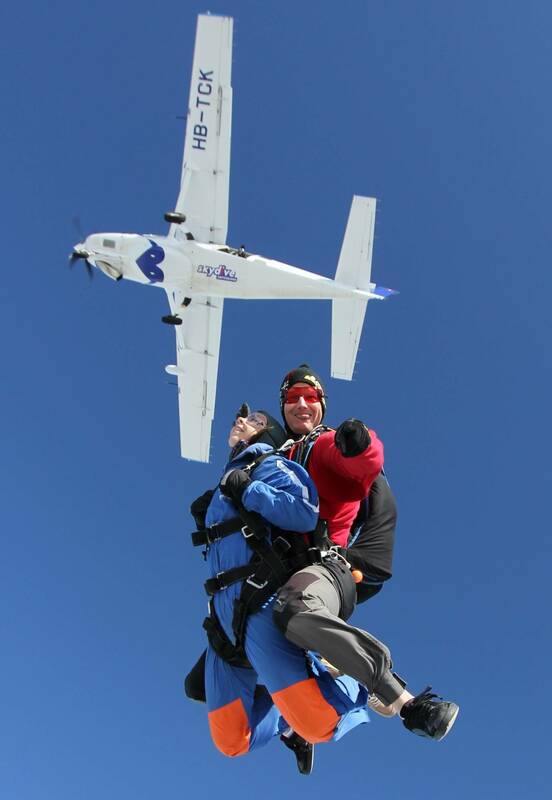 Upgrade to High Jump 4600m (15,000ft): For additional CHF 35.00, upgrade on the day to the higher jump for approx. 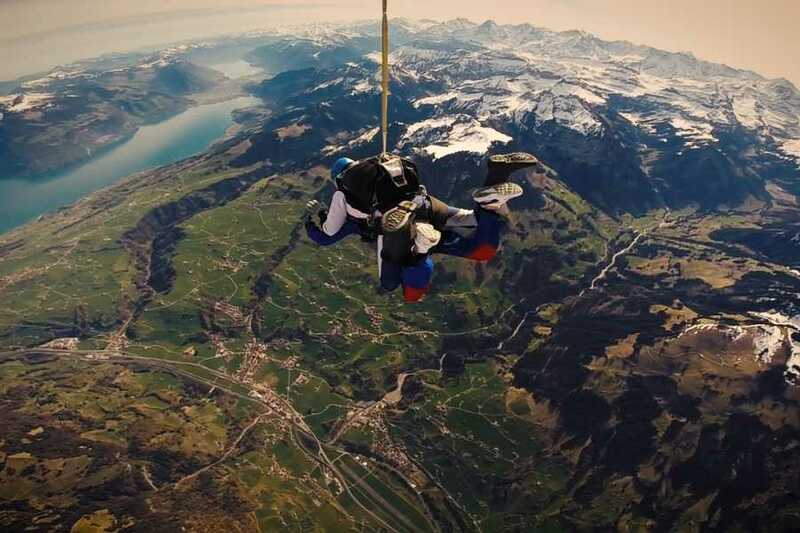 15 seconds longer freefall. 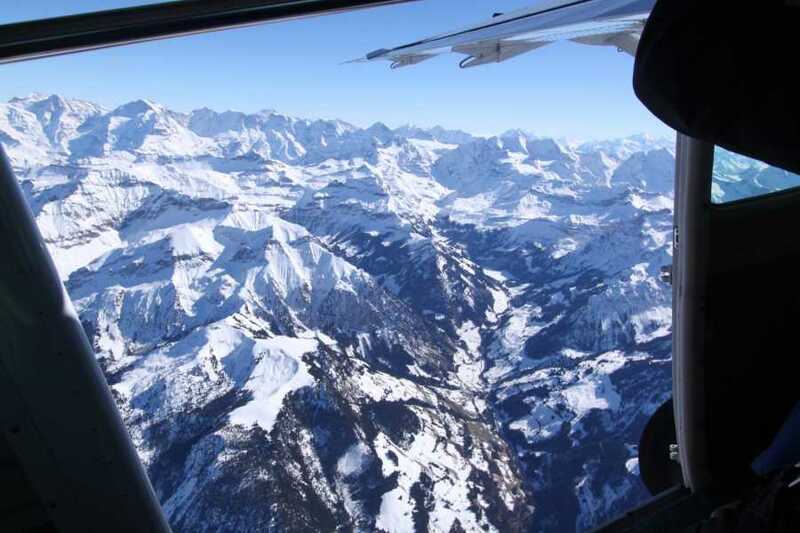 The pilot can only confirm the higher jump at the trip time because it is dependent on weather and air traffic.